↑ "Population and population density in 2008 by province". General Statistics Office of Vietnam. สืบค้นเมื่อ September 5, 2010. ↑ 2.0 2.1 2.2 "Introduction". Government of Vietnam. สืบค้นเมื่อ 2010-06-25. ↑ "Introduction (Giới thiệu chung vềam Thái Nguyên". 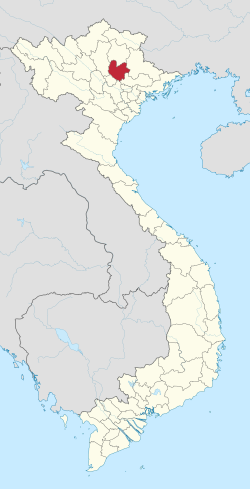 Thai Nguyen, Government of Vietnam. สืบค้นเมื่อ 2010-06-25. หน้านี้แก้ไขล่าสุดเมื่อวันที่ 19 เมษายน 2562 เวลา 06:38 น.